To check for current job postings at Nanaimo-Info Help Wanted CLICK HERE. To check for current job postings at the JOB BANK you should CLICK NANAIMO JOBS HERE. To check for current job postings at INDEED you should CLICK NANAIMO JOBS HERE. To check for current job postings at BC JOB NETWORK you should CLICK NANAIMO JOBS HERE. To check for current job postings at EULTA you should CLICK NANAIMO JOBS HERE. To check for current job postings at KIJJI NANAIMO ADS you shouldCLICK NANAIMO JOBS HERE. To check for current job postings at CITY OF NANAIMO you should CLICK NANAIMO JOBS HERE. To check for current job postings at SCHOOL DISTRICT #68 you should CLICK NANAIMO JOBS HERE. To check for current job postings at REGIONAL DISTRICT OF NANAIMO you should CLICK NANAIMO JOBS HERE. To check for current job postings at VIHA you should CLICK NANAIMO JOBS HERE. To check for current job postings at CRAIGS LIST you shouldCLICK NANAIMO JOBS HERE. To check for current job postings at BC GOVERNMENT you should CLICK NANAIMO JOBS HERE. To check for current job postings at WORKOPOLIS you should CLICK NANAIMO JOBS HERE. To check for current job postings at WORKING.COM you should CLICK NANAIMO JOBS HERE. Yahooooooo!!! A Job With NO Pay!! I realize there are few people who will fall all over themselves at the chance to work for nothing, but if you are really a journalist at heart and that is your burning passion, you might want to get used to working for less than fantastic pay. If pay is what you are after, get a degree in civic administration and get a job with the city. Journalism students and others wishing to get some real life experience covering local news and events. Nanaimo Info Blog is looking for one or two good people wishing to hone their writing skills while at the same time gaining some valuable real life experience. It will also give something to add to your job resume for future career moves. 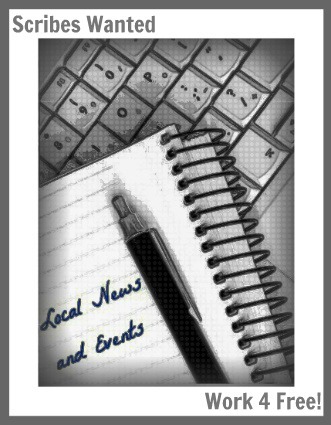 Your articles will be published on the local news and events website 'NanaimoBlog.com' where your work will have a byline and photo credit when applicable. This is not a paid position and you will not be an employee of Nanaimo Info the only benefit you will receive from this freelance positng is the job experience you will gain and the value of having your work published. You will need an internet connection and a digital camera would be helpful as well. If you are intested in getting some real work experience kindly send your resume to Nanaimo Info Blog. If you think this is of interest to you, please send along a short application including the areas of personal interest you would like to write about, for example local politics, sports, dining, arts and culture, entertainment or what have you.